So far there are a lot of mysteries around the DC movieverse, there are a few things that we do know though. We know so far Batman managed to save BvS as Ben Affleck shows us he was born to play Batman. We also know he’s going to be assembling a team of meta humans to fight an imminent attack from Darkseid which will involve him assembling the Justice League in the next movie. We also know Slade Wilson aka will be the main villain in the next Batman solo movie as Ben Affleck released the test footage of Joe Manganiello as Deathstroke one of the most deadly people in the DC universe. We also know everyone loves an origin story, if we look back into Deathstroke’s back story we will find he was in the military since he was 16, once he was recognised as a real military force he was then drafted into Team 7. But who are Team 7? 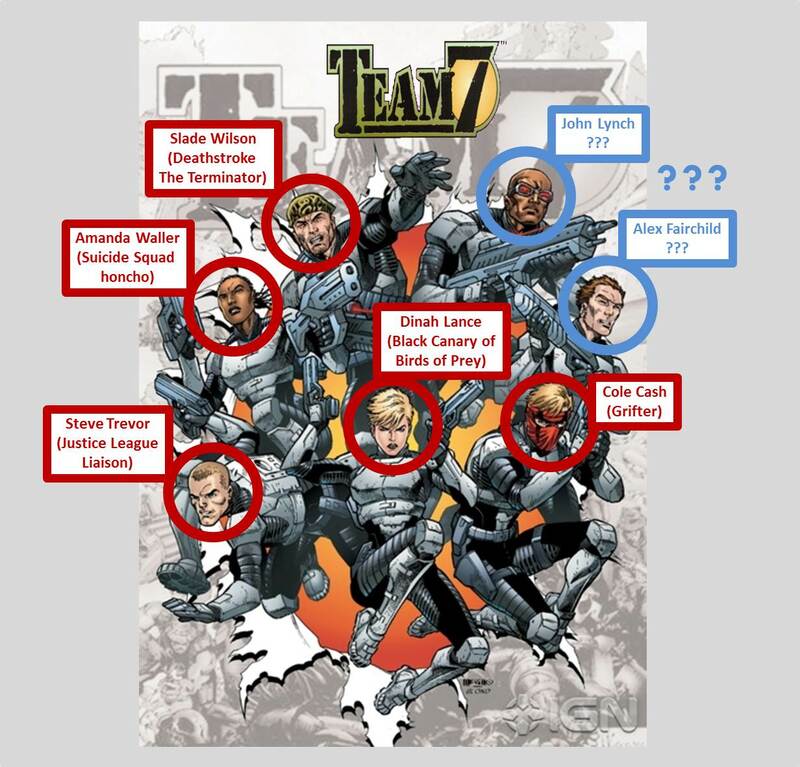 Team 7 are a team of military experts who were assembled to fight possible metahuman threats. Considering Batman is currently forming as team of meta humans everything seems to fall together almost too easily and we can see why Deathstroke might have beef with Batman if their jobs are so conflicted. If Team 7 or another similar incarnation are going to be involved they would have the opportunity to bring some of the remaining Suicide Squad back as most of them were human. In the comics Team 7 was disbanded after a mission to find Pandora’s Box which in the movies could be one of the Mother boxes but at the moment that might be jumping ahead too much. At the moment it looks like Deathstroke won’t be the only person to stand in Batman’s way during his solo movie, if it is Team 7 it will make an amazing movie and tie it into the Justice League nicely.